For the 22nd consecutive year CBSE will provide Pre-Examination psychological counselling services to students and parents appearing for exams. The programme is designed as part of the board’s outreach programme which caters to the heterogeneous students’ and parent’s population and vast geographical network of schools. 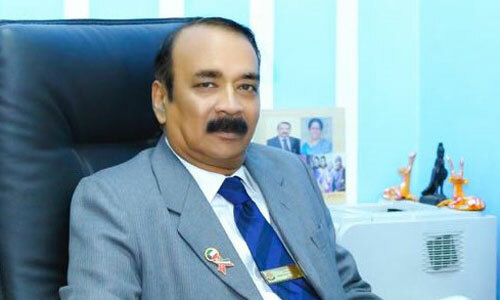 For the students appearing for the exam from Kuwiat, CBSE has once again choosen Mr. T. Premkumar, Principal of Indian Educational Kuwait (Bhavans Kuwait) and Chairman of the CBSE Gulf Council to be the tele-counselor for the students of Indian Schools in Kuwait. Premkumar has been serving CBSE schools in the Middle East for the 36 years and is vastly experienced in question paper setting, evaluation and training students and staff. He is one of the best when it comes to Chemistry teaching and his students have acknowledged his passion for teaching. He has counseled several children in the secondary and senior secondary classes over three decades now and CBSE has rightly given this responsibility over the years. The Psychological counselling will begin from the 01st of February, at the time of preparation and during the examinations up to 04th April, 2019 to help students overcome exam related anxiety. Mr. Premkumar can be contacted between 8 pm and 10 pm starting from 2nd Feb 2019 on his mobile number - 66231493. IIK wishes all the students appearing for the CBSE examination next month the very best and urge parents and students to use this tele-counseling facility to maximum advantage and excel. Premkumar sir, I vouch for the compliments showered upon by your well wishers through IIK and the report that is written in IIK on your appointment as a counselor. Four years back, through this same IIK report I made connections with you and though I was a student from another Indian school that did not treat me and my parents well as I was not doing well, you took me into your care and today I can say that was the turning point in my life and I will graduate in another 5 months sir. Thank you and may you be the beacon of light of light for many more students who are in need of people like you as counselor. Congratulations Premkumar sir on your appointment. I have seen you passionately working for kids of Bhavans and I have seen fearless approach of your kids inside and outside the school which is the reason why CBSE finds you to be a good counselor. Shree PremKumar Sir, who is loved by all the students and parents who have come across him. He is such a wonderful person who is there to help everyone at anytime My family Wishes him all the best and will pray for his good health. God bless him and his family . Thank you sir foe all the help you have done for us. T.R Nath I as one of the closest associate of Prem can''t tell you you how accurate you have been in describing Prem whom I adored when he was in INdian School Muscat. IN Prem I have seen the passion for teaching and he never wasted an opportunity that came in his way and he is till date the one and the only Indian School Muscat staff who from a science teacher of grade 5 and 6 in his formative stage rose to the rank of a Principal going through all the stages and no wonder CBSE has seen in him the spark needed to be a student exam counselor. All I know him is that he is a strict disciplinarian but loves his children and has done so much for them. I am indeed Proud that I had the opportunity to know him for many years and wish Prem greater success. A wonderful and passionate teacher who is yet to get his due recognition for his outstanding contribution to teaching. He is the one who has taken up teaching after his PG studies in Education from RCE Mysore while most of his course mates have diversified into various other lucrative jobs leaving teaching profession. He was a scientific officer in government but his true passion for teaching brought him to teaching. Article is befitting the personality of Mr Premkumar an iconic teacher born to teach.